One way to discover a new city is to get a good overview via a tour. Here are some of the best bus tours as recommended by tourist on travel sites (the best rated and reviewed bus tours in Budapest, Hungary). The traditional Hop on Hop off Bus Tours are very popular in Budapest, and get regularly good reviews as the price of the bus tour also includes a free boat tour, which makes it a really good value tour. Not only the prices are quite reasonable, but the quality of the audio guides is quite good, although some tourists remarked that there could have been more info and less music. The great thing about hop on – hop off bus tours is that you can enjoy the sights from your bus seat (open decks in good weather for taking better photos), but if you see a sight that makes you curious, you can hop off and start to explore a nice Budapest attraction in more details if you want to. Then, after your detour, you can literally hop on the bus again (they go very frequently and on the major bus routes). No hassle. 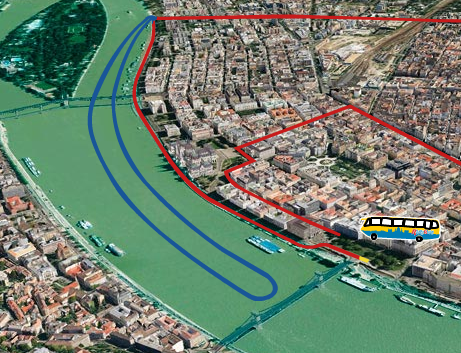 Alternatively, you can try to work out your own routes (or take a free walking tour in Budapest), and download a cheap audioguide for Budapest. Anyway, the hop on hop off bus tours get generally good reviews, with the recurring problems that the commentary feels slightly sparse, and for some too much music is inserted in the guide. The other problem is that buses run less frequently in low season, so they may quickly sell out at the weekends. Make sure to check the current hop on hop off bus tour timetables before you pay for the trip. 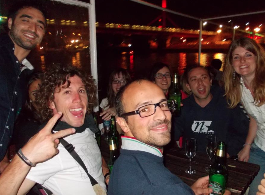 But keep in mind that you will also get a Danube boat ride included in the price of the bus tour. 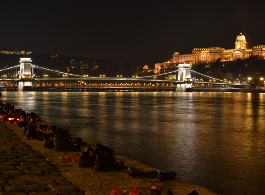 This is a no fancy boat tour, unlike the more elegant and romantic Budapest river cruises. You will get an earphone (may be a used headphone, which may or may not work, but you can ask for another one of course). Lastly, “Unfortunately the bus stopped at about 10 to 15 minutes at every stop which made the tour boring.” (Budapest Hop on Hop off Bus tour review on TripAdvisor travel site). If you get bored easily, either take an exciting Budapest guide book with you, or opt for another Budapest tour. 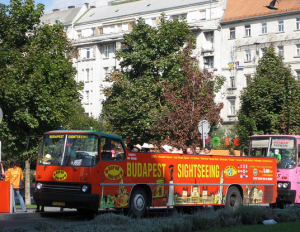 Some of the more popular tours in Budapest include a more in depth and thorough sightseeing tours with a bus / coach. Budapest – Danube Bend Bus Tour: this bus tour offers an insight into the nearby nice towns and villages (Esztergom, Visegrad, etc.) outside Budapest. The Danube Bend is a picturesque landscape in northern Hungary, where the river Danube turns sharply to the south. The river bend is surrounded by lovely hills, woods and villages. If you want to have a bus tour with an interesting twist, you can try a floating bus, i.e. 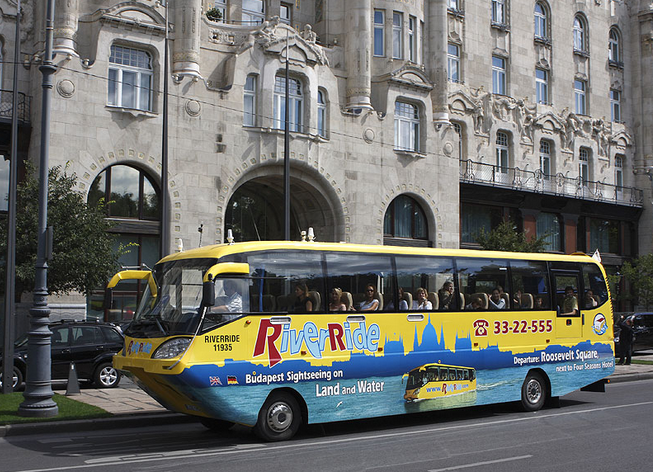 an amphibian bus, which can easily float on the river Danube, and roll on wheels too: River Ride offers a two hour ‘on the river and in the street’ tours 4 times a day from April to October (1o am, 12 pm, 3 pm, 5 pm) and 3 times (11 am, 1 pm, 3 pm) a day in low season (Nov-March). Mind you, while the idea of travelling in a sea and land based bus sounds cool and exciting, in practice kids can get bored during the long and slow floating in the river if no parental challenges, mind games are tricked up. If you have a raucous toddler, it might be best not to take the River Ride tour. The only criticism we have found so far was about the price of the bus tour – not cheap, but fun. Note: the vehicle may sway a little in land mode on the streets, but is balanced in the water. If you suffer from motion sickness it might not be your best bus tour choice. The bus tour route is only on the Pest side and in the river.